Moving can be a fairly arduous process. First you have to pack, get everything on a truck, get the truck to your destination, and then… unpacking. By the time you’re ready to unpack, you’re so tired from the move that you want nothing more than to let those boxes sit forever. 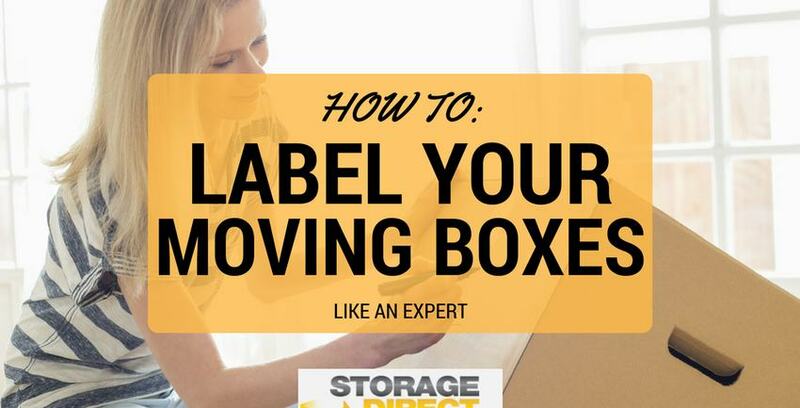 We’re here with the solution to unpacking fatigue: labeling your moving boxes. If you label your moving boxes like an expert with the tips we’ve provided, everything will go faster, be easier, and ultimately – your move won’t feel so arduous in the end. There is nothing more annoying than planning to spend the day labeling and organizing your boxes only to realize… you don’t have the tools to do the job! Here’s what you’re going to want: permanent, waterproof markers (Sharpies are always a safe bet), packing tape, and some ready-to-use printable moving box labels. Color coding is what is going to bring your organizing, packing, and moving game to the next level. Remember when we said you’ll need to buy permanent markers and tape? If you get those items, one or both, in a variety of colors, you can then use one color per room to make your boxes easily identifiable during the moving process. For example, if you decide to use the color green for your bedroom, just write BEDROOM in green letters on that box. Simple, and effective. Our last tip regarding color coding your moving boxes is to place pieces of paper that match the colors on the box on the doors of each room in your destination to help your movers out. If you labeled your kitchen boxes as blue, put blue paper on or around the door to the kitchen so they don’t end up confused as to where things go. You need to choose a labeling method that’s best for you. We have found that color coding tends to work the best, but there are other options. Another common practice is writing numbers on each box and then keeping a master list that shows what rooms those numbers relate to. For instance, all boxes with a 1 on them go to the kitchen. In the end, the most important thing is to just label them in some way so things don’t get lost in the shuffle. You might think, “Ugh, packing is exhausting and now I have to write all over these boxes too? I can just do that part later,” but let us tell you… don’t! Mark down the destination room, contents of the box, and whether there are any fragile or important items inside as soon as you’re done packing it. If you postpone, it becomes a lot easier to forget what’s inside or to just end up not doing it at all. Nobody wants that. Packing and moving can be a stressful experience, but taking small steps like these to stay more organized along the way can make the entire process a lot easier. When you’re packing for your next move and rediscovering all the things you never realized you had, don’t forget that there are companies out there that specialize in keeping your extra things packed away safe in specialty storage units. Happy moving!